Research and science may be years behind in proving the benefit of medicinal marijuana or cannabinoid applications for children. But who can argue with the many testimonials so many amazing groups like the project Face of Cannabis are working to spotlight? Last week we explored a group that the media has coined Pot Moms. This week we’re looking at kids. We’re looking, in particular, at the many, many kids whose lives have been drastically improved by cannabis. Children like Teresa whose parents had tried everything. Teresa, featured Face of Cannabis from ‘Face of Cannabis’ project, which aims to raise awareness and facilitate change amid use of cannabis oil. Within days of birth, Teresa was diagnosed with Wolf Hirshhorn Syndrome, a rare and serious chromosomal abnormality which, among many other afflictions, resulted in failure to thrive, congenital heart disease, microcephaly and hypotonia and ultimately resulted in a life of seizure after seizure, according to her parents. “We were literally waiting for the next seizure to take her from us,” her mother shares. On Face of Cannabis, a project started by Nichole Montanez, the aunt of a child with Dravet Syndrome, a black and white gallery of gorgeous children crushes, with force, the notion that medicinal marijuana is anything but a treatment worthy of very serious respect, consideration and continued research. 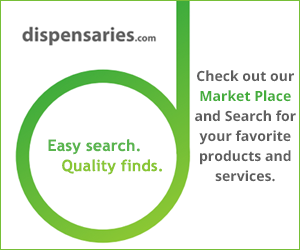 Please take a moment to visit Montanez’s Face of Cannabis blog. Take a moment to read in greater detail more of these harrowing stories written by parents of children whose lives have been improved through the responsible use of cannabis. “Because of Hemp Oil I no longer have a medically dependent child waiting to die, I have a thriving little girl with so much hope for a better future,” Teresa’s mom shared on the Face of Cannabis Facebook page. You can read more about Teresa and many other incredible stories written by parents of children whose lives have been improved through the responsible use of cannabis on Nichole Montanez’s blog, Face of Cannabis. We’re a diverse nation. The make up of those embracing cannabis is no different. Those embracing marijuana for its medicinal value or enjoying it recreationally, legally in states like Oregon and Colorado, are wildly diverse. As we’ve mentioned before, the many beautiful faces of cannabis are now being given, through advocacy, legalization and the like, a reason to come out of the shadows. We’re enjoying the exploration of what this all means and would love to hear your thoughts as well.